Veritas will offer a Jiajing armorial dish (c.1530-50) in its next auction in Lisbon on November 27-29. A Jiajing armorial dish estimated at €60,000-100,000 at Veritas. The 1ft (30.5cm) diameter porcelain dish depicts a central medallion formed by a sinuous dragon with a spiraling tail, while the back is decorated with five medallions and stylised clouds. Two medallions depict Esfera Armilar, the Royal insignia of D Manuel I of Portugal (1495-1521) and his son D João III of Portugal (1521-57), while another bears the IHS insignia associated with the Jesuits and crown of thorns and the other two depict Oriental landscapes. 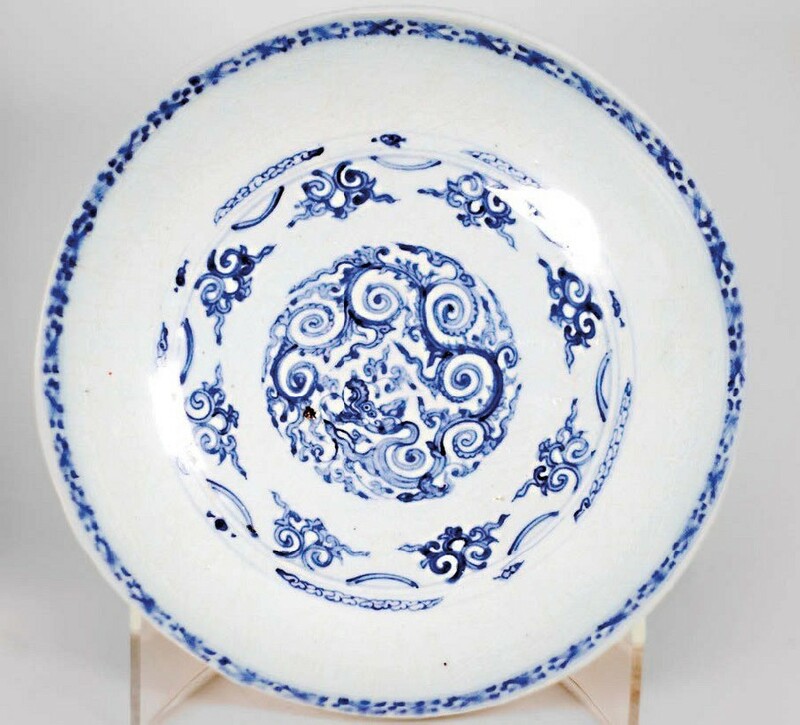 The dish is part of a small group of pieces that formed the first commission of Oriental porcelain for the Portuguese (and European) market and is characterised by the simultaneous presence of occidental and oriental motifs.